Notes of deep dark dried fruit quickly vanish into hints of leather and oak. Finishes with dark dried fruit again. Plum? 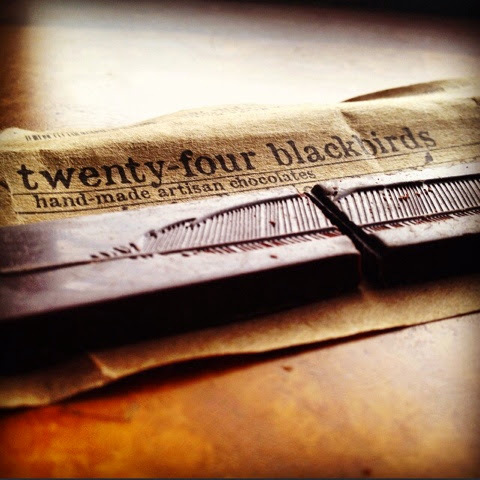 Twenty-Four Blackbirds is an artisan bean to bar chocolate maker in Santa Barbara CA. In June of 2013 David Menkes from the blog Little Brown Squares visited Twenty-Four Blackbirds and founder Mike Orlando then wrote this fabulous article .